Who says only nannys knit? 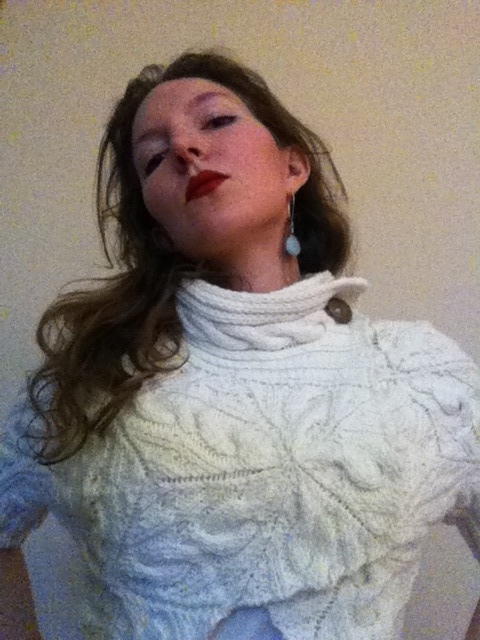 I thought I’d share my latest creation – this sweet little cabled shrug I’ve been knitting. 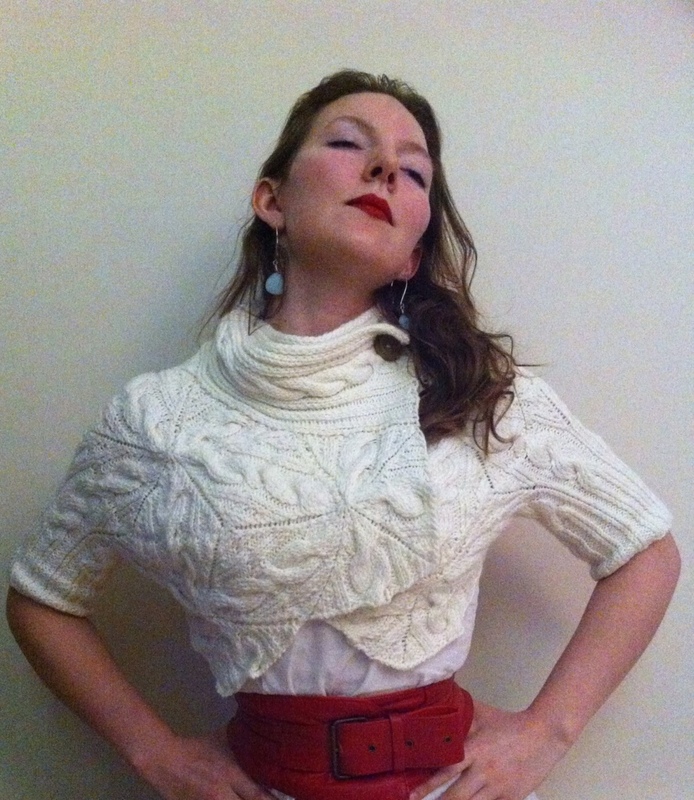 It was made to this pattern in Vogue Knitting out of cream Debbie Bliss cashmerino. It was a lovely pattern to work up – complicated enough to keep me interested, but not the kind of nightmare pattern where I keep making mistakes! Only one warning If you’re tempted to try it – the pattern comes up really big. I made the XS, and took the needles down to 4.5mm, and the wool down to dk weight, and it is still pretty generously sized. if I was making it again, I’d go for 4mm needles and dk to get more textural cables. I also made the buttonhole a little bigger, to accomodate the old wooden button that I pilfered from a rather shabby cushion! Thanks Tammy 🙂 I just took a quick peek over at your blog, and I’m feeling inspired to try tatting next – that handkerchief you are making looks amazing! It’s very lovely and suits you well!